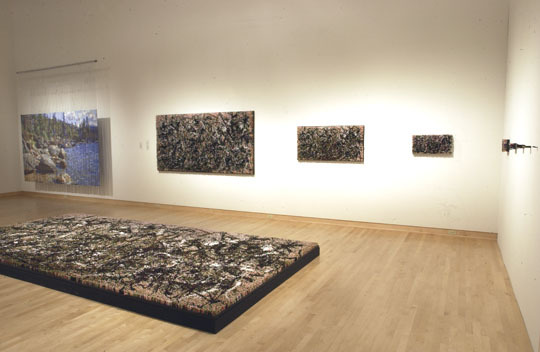 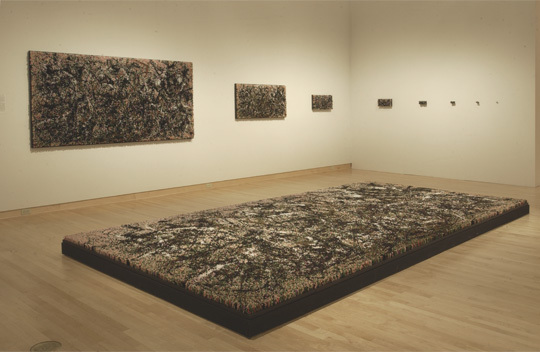 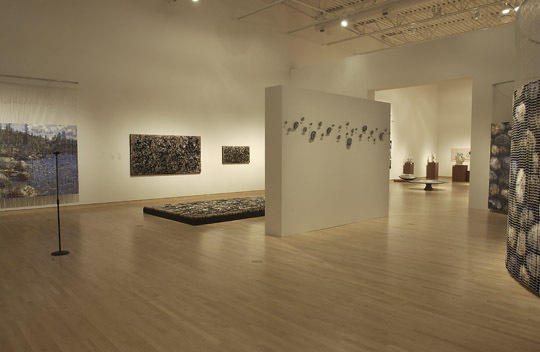 Installation view: Shag Rug (After Pollock) series, 2002: floor mounted work 8' x 16', wall mounted works are incrementally smaller: 4'x8', 2'x4', 1'x 2', 6" x 12", 3" x 6", 1" x 2", 1/3" x 2/3". 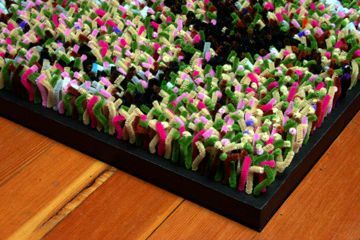 All works constructed from 2" chenille stems. 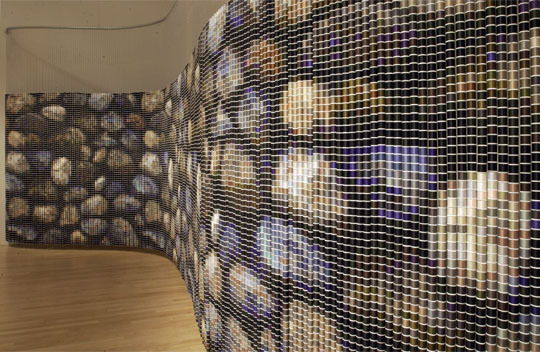 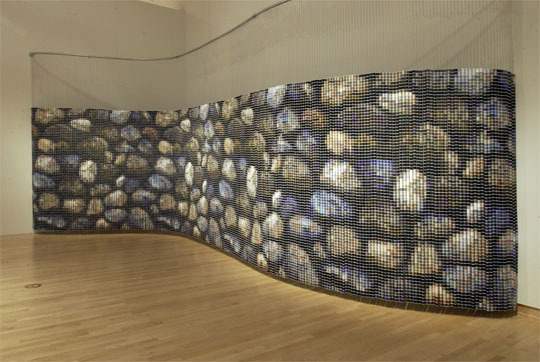 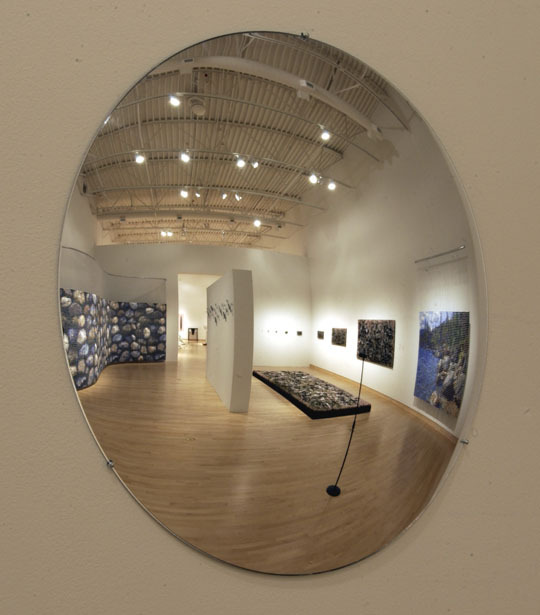 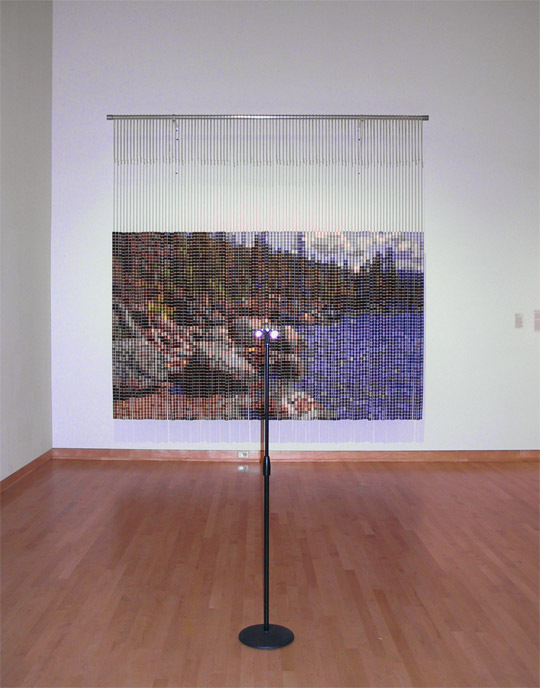 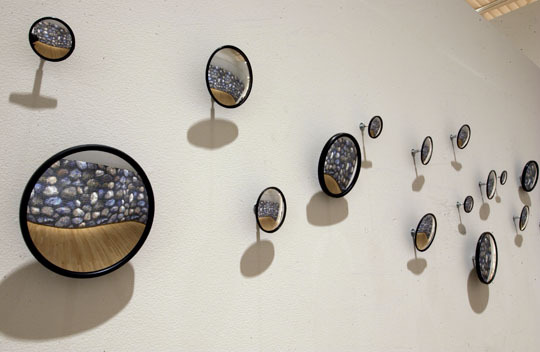 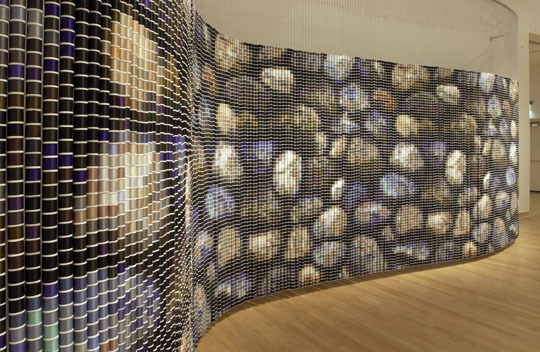 Installation View: *Reflections on a Lake, 1999, 6'h x 10' w, 5760 spools of thread, clear vinyl tubing, aluminum hanging apparatus, binoculars (reversed to shrink image).